Does John Hagee’s book on the four blood moon prophecy help you understand the biblical significance of the 2014-2015 tetrad? Considering that the first 170 pages of "Four Blood Moons: Something Is About To Change" is background material on prophecy, Israel in Scripture and history with only 24 pages on the coming tetrad, that’s a fair question. Here’s my review to help you evaluate the book and its ideas. John Hagee is a latecomer to the four blood moon prophecy party. In his 2013 book Four Blood Moons: Something Is About To Change he traces the beginning of his interest in the topic to the previous year when he met Mark Biltz, the originator of the theory in 2008. Biltz's theory states that because four lunar eclipses in a row (or a tetrad) falling on four Jewish holidays in a row "won't happen again for hundreds of years," it must be God trying to tell us something is going to happen. This is assuming what the Bible says about the lights in the heavens: "let them serve as signs, and for seasons, and for days, and years" (Gen 1:14 KJV) applies to eclipses. Originally, in his interview on "Prophecy in the News" from 2008, that "something" was suggested to possibly be Jesus' second coming for 2015. As 2015 approached, Biltz backed off that idea, probably since the 3.5 year Great Tribulation could no longer fit in the time left before 2015. Oops. So what is he predicting and why? Believe it or not, the subtitle of the book "something is about to change" is not some intentionally mysterious teaser intended to evoke curiosity in the book. In actuality, "something" is his prediction! These occurrences are not coincidental! 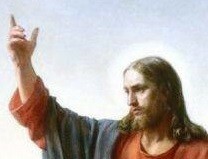 This is the hand of God orchestrating signs in the heavens. The final Four Blood Moons are signaling that something big is coming...something that will change the world forever. But the bigger question is, are we watching and listening? Watching and listening for "something big" will seem plausible and reasonable to many readers when it comes from such an influential and respected Christian leader. To those familiar with the biblical prophecies, it sounds more like a horoscope than the Bible. The actual literal predictions of the prophets of the Bible are narrow and specific, not vague. There are no "something will happen at this time, so watch" predictions in the Bible. For example, in Daniel's 70 weeks prophecy, many specific events are detailed to happen, such as the Messiah being cut off after 62 weeks (Dan 9:26) and the oblation ceasing in the last week (Dan 9:27). Not just "look for something after 62 weeks and in the final week." 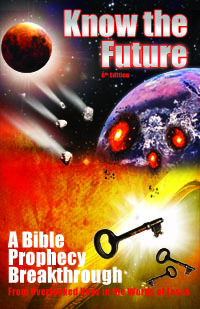 As such, the book's prediction does not remind the discerning Bible student of the Bible's prophecies as much as it does the 2012 Mayan calendar theory. That theory variously predicted the end of the world or the transformation of the world or even positive spiritual transformation. It was all over the map, yet still failed to predict anything successfully. Just as with 2012, there is no biblical basis to the predictions for 2014-2015. The Bible says nothing about looking for four blood moons. Instead it predicts a single blood moon in conjunction with several other distinct cosmic and global terrestrial phenomenon at the 6th seal through 4th trumpet of Revelation (Rev 6:12-8:13). Rather than teach what these actual signs are, Hagee's book invents a significance for the coming tetrad by cherry picking events from history and taking a few biblical passages out of context. In other words, Hagee's theory is so vague and unspecific that it's almost impossible for it to fail or to prove it has failed. I would not be surprised if he is able to point to some event in that time span and claim he was right. For example, another war in Israel or another economic setback in the world can keep him from being embarrassed. Thus, I'm not saying "nothing will happen, the prediction will fail." I'm saying that he is not applying the Bible or sound reasoning properly when he makes such a prediction and his prediction of "something big" is too unspecific to be taken seriously. Before John Hagee's fans write me emails accusing me of attacking him, let me state it clearly: Don't get me wrong, no disrespect to Hagee is intended. I have nothing against him and am not critical of the man. I simply find great difficulties with his book's theory. I notice that many people assume that if you criticize a man's theory you have something against the man or they seem unable to separate the two. But I do separate the two. No ad hominem here. If we follow the example of the noble Bereans (Acts 17:11) we should "search the Scripture to see if what is being taught is so." After having done that with Hagee's theory, for me, rather than lining up with literal Bible prophecy, his theory lines up with so many past failed predictions merely based on Bible prophecy that we have all seen before. That said, there are some good parts to his book (such as on the history of Israel) that may be new and helpful to some prophecy students. Which relates to why Hagee and others today are so convinced something will happen. They focus heavily on the history surrounding past tetrads and the history Israel - things that Biltz did not emphasize in his original theory focusing on how rare the coming tetrad seemed. For that story, see my main article on the 2014-15 tetrad prophecy.